“¡Nicaragua no se vende!” protesters in the central city of Juigalpa exclaimed in a recent demonstration. This rallying cry, Nicaragua is not for sale, reverberates throughout the country in momentous opposition to the construction of the proposed Nicaraguan canal—a $50 billion USD project spearheaded by Chinese venture capitalist billionaire, Wang Jing, and enthusiastically approved by the Nicaraguan president, Daniel Ortega. 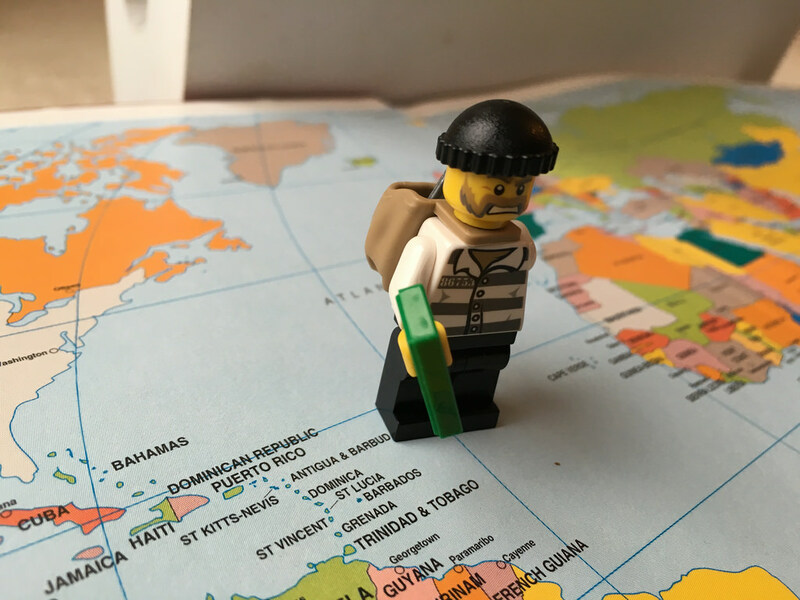 The pair intend to slice Central America’s largest country in half with a canal three times the size of Panama’s, displaced communities, economic impracticality, and environmental degradation be damned. In a characteristically clandestine arrangement, the Ortega administration approved the operation during a seven-day Congressional session in 2013, sans parliamentary debate, public consultation, or prior feasibility/environmental impact studies. The approval granted a 100-year concession to Wang Jing’s Cayman Island-based firm, the Hong Kong Nicaraguan Canal Development Investment Company (HKND). Lofty parameters expropriate land rights to the 172 miles long by an average 1,000 feet wide stretch of Nicaraguan land on which the proposed project will be built, giving HKND carte blanche authority, without having to pay taxes, for the ensuing century. The concession subsequently goes so far as to grant HKND the unqualified rights to construct “two deep sea ports, a free trade zone, an airport, cement and explosive factories, an electricity plant and upmarket hotels,” the Daily Beast reports, at the expense of land-owning Nicaraguans. The Interoceanic Grand Canal—as Ortega’s administration and HKND maintain it—will require twice as much concrete than is currently manufactured in all of Central America. This renders it the most ambitious infrastructural attempt to date. Intended to accommodate ships with the capacity for 12,000 tractor-trailers, the canal would traverse Lake Nicaragua, a 500,000 thousand year old bastion of ecological biodiversity. The lake is at once of critical importance to the Nicaraguan historical memory as well as Central America’s bio-economy and inhabitants, as it is the largest water source in the region. The project intends to excavate land home to twenty-two endangered species, while simultaneously displacing as many as 28,000 Nicaraguans. It is no wonder, then, that Ortega’s enthusiasm has mobilized opposition from indigenous campesino communities, urban constituencies, and high-level political opposition alike. This new order, however, was spearheaded by a hegemonic political regime. Ortega was elected president from 1985 to 1990, during which Nicaragua was violently targeted by the U.S.-backed, trained, and armed anti-communist campaigns of the Contra rebels. Concurrently, FSLN’s internal structure was deteriorating as competing officials disagreed on how the conflict should be resolved. An unfortunate amalgamation of these internal and external forces cost Ortega, and the FSLN, the presidential elections in 1990, reflecting the already waning popular support for Ortega. These elections precipitated the FSLN’s rapid devolvement into malfeasance and their consequent public demise, as news of their various corrupt, chaotic, and sometimes abusive efforts to expropriate goods, properties and businesses into their own hands during Ortega’s final few weeks in office elicited national notoriety as the Piñata scandal. Ortega and the Sandinista’s diminishing popular support during the tumult of the late twentieth century foreshadows the contemporary chasms between Ortega—who, despite his tangible policy distance from original Sandinista politics, maintains the title of Sandinista—and the people. Ortega and the FSLN reemerged anew in 2006—although present within a series of ad hoc governments, systematically gaining control of the National Assembly and judiciary—to win the presidency with only 38.07 percent of the popular vote. The new face of the party, characterized by “Danielismo,”—the conspicuous concentration of wealth and power into the hands of Daniel Ortega and his inner circle, most notably his wife, First Lady Rosario Murillo—rendered the FSLN nearly unrecognizable to its former self. Granted, a few other Latin American leaders, most notably Brazil’s Lula da Silva, have followed a similar trajectory, conceding a once radicalized agenda for a capitalist economic structure in order to assimilate into the morphing of a global economy devoid of the Soviet Union. However, Ortega’s Nicaragua is largely deprived of democracy, with Ortega employing an iron fist to orient the Supreme Court and other electoral authorities into “Orteguista” institutions, as well as to restrict the access to government programs and state jobs to card-carrying Sandinista party members. Along with an authoritarian streak, Ortega’s term has been characterized by an escalating dichotomy. In the public sphere, he has re-branded himself as a devoted socialist, staunchly opposing U.S. imperialism by invoking the Sandinista rhetoric reminiscent of his civil-war days—decrying U.S.’s yanqui-dollar, for example. His policy platform upon entering office promised to abolish education matriculation fees while also launching a Zero Hunger program, which successfully distributed one pig, 10 hens, a rooster and seeds to 15,000 families during his first year. Hallmark socialist policies have undoubtedly benefitted certain impoverished Nicaraguan constituencies — infant mortality rates have declined as literacy rates climbed. His diplomatic and economic alliance with the late former socialist president of Venezuela, Hugo Chávez, was critical to Nicaragua’s growth and development, as Nicaragua reportedly enjoyed $500 million USD a year from the Chávez regime. On the one hand, his economic decisions have proved fruitful relative to the rest of Central America’s economic development: Nicaragua’s GDP growth steadily rose over the course of his tenure—experiencing a brief dip during the financial crisis of 2009—whilst leading the region in double-digit investment and export growth. On the other hand, however, the eclectic trade alliances forged by Ortega—and subsequent inconsistencies in his revolutionary principles and his contemporary policies—have put the Nicaraguan economy in a precarious, perpetually dependent position. The loss of aid from Venezuela following Chávez’s death has transferred economic influence over Nicaragua to the United States, given the U.S.’s veto powers within international aid agencies—which all too frequently exercise leverage over Nicaragua and other Central American nations—as well as Nicaragua’s reliance on exports to the U.S. via their engagement with CAFTA-DR. Most notably consequent to the discrepancies between Ortega’s political rhetoric and economic action is the domestic condemnation it has earned his administration from opponents and those who once supported him alike. This odium has markedly escalated in the wake of the Canal controversy. After the announcement of the canal’s construction, Confidencial, one of Nicaragua’s few independent media outlets, reminded the public that in 2007, Ortega promised to not put Lake Nicaragua’s fresh water at risk with a canal project for “all the gold in the world.” This statement was made right before the formative years of the Ortega-Chávez alliance, begging the question of what Chávez would think—and how Ortega would subsequently act—in the face of Wang Jing’s proposals. Thus, Ortega’s Canal deal is the culmination of decades of idiosyncratic governance, and represents the climatic deterioration of what Confidencial once summarized as a government that is “authoritarian in politics, pro-business in the economy, and populist in the social sphere.” If Ortega follows through with the project, no longer will he be toeing the dubious line between capitalist and socialist. Rather, by granting a Chinese billionaire the ability to circumvent the Nicaraguan legal system and carte blanche to bisect the country with a canal dwarfing Panama’s, he is decisively favoring a capitalist reform agenda at the expense of his already precarious socialist populism. Critical slogans and anti-canal manifestos hint to a plethora of reasons why the canal would ultimately prove detrimental for Nicaragua, rather than “eradicate poverty,” as Ortega once declared. Panama serves as an emblem of the corruption and inequality inextricable with such a project. Granted, the Panama Canal has injected astronomic amounts of capital into Panama’s economy, reigning in $1.91 billion USD in toll revenues during the 2014 fiscal year. Skyscrapers and high-rises punctuate the capital city’s coveted waterfront property, which, despite having its property value nearly cut in half in 2008, has since bounced back as the government has expanded the canal. The large majority of these edifices are empty, though, towering as conspicuous echo chambers for the money laundering syndicates that built them. Panama’s glorification as the “Latin American Singapore” comes at an immense price: social and income inequality have been markedly exacerbated since the United States handed over control of the canal to Panama in 2000. The chasms that separate the educated, urban elite and the rural populations have widened, crystallizing what National Public Radio has dubbed a country of “have’s and have not’s.” According to the World Bank, Panama’s poorest 20 percent of the population controls a dismal 3.2 percent of the country’s wealth, dwarfed in comparison to the 56.3 percent of the country’s wealth controlled by the richest 20 percent. This has confined nearly 60 percent of rural residents to living below the poverty line. Along with the tangible inequality that has persisted in Panama as a result of the canal, Ortega’s decision to expose his country and constituents to a megaproject would perpetuate the notorious corruption that has proliferated in Panama, slapping hefty bond payments on the Panamanian people in the process. 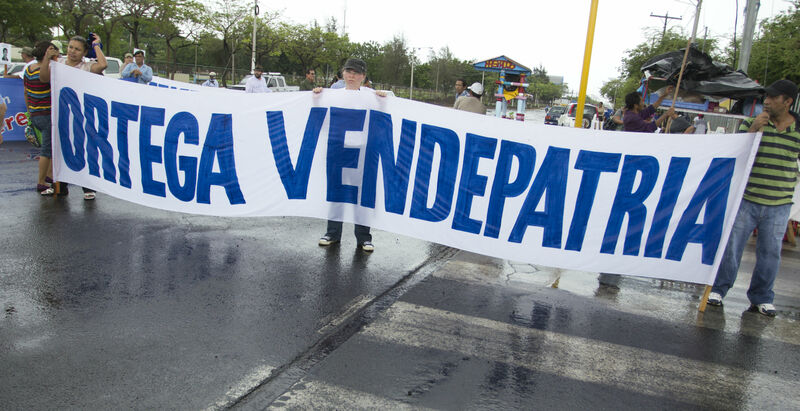 Transparency International ranks the Nicaraguan government as being markedly more corrupt than that of Panama, with Panama being the 94th least corrupt out of 175 countries in terms of “perceived level of public sector corruption in the country,” compared to Nicaragua’s rank of 138. Moreover, the proposed Nicaraguan canal is three times the size of Panama’s. Not only is the proposed Nicaraguan canal being inserted into a more politically volatile environment than Panama, but the project itself is on an astronomically grander scale, inevitably subjecting the country to unimaginable levels of corruption, impunity and socio-financial inequality. The constituents would be forced to bear the brunt of such, as per the Panamanian model, wherein taxes will be levied on individuals in order to pay back $50 billion USD of bond payments. THE NICARAGUAN ECONOMY NEEDS HELP, BUT IS A CANAL THE ANSWER? Despite positive economic growth over the course of the 21st century, peaking in 2011 with a GDP growth rate of 5.4 percent, Nicaragua remains the second poorest country in the Western Hemisphere. A staggering 42.5 percent of its population lives below the poverty line, and 80 percent in rural, infrastructurally impoverished regions. Acutely aware of these realities, and his country’s dismal underemployment rate of 46.5 percent, Ortega initially heralded the canal project as being able to introduce one million jobs to the Nicaraguan economy. This claim was quickly modified, with Ortega most recently declaring that it will provide the country with 250,000 jobs and will pronounce Nicaragua as the maritime capital of the world. However, Nicaraguan economist Julio Francisco Báez notes that a project of this magnanimity is inherently transitory, as are the jobs it introduces. Báez emphasizes that the only effective way of transitioning from a developing to a developed country—a process that Ortega heralds the Canal as breaking ground for—is through a “deliberate, sustained, and persistent effort of structural change, maintained over time.” Nicaragua’s current model, an economically and environmentally unsustainable megaproject, is the antithesis of this development paradigm. While the canal will ameliorate the country’s economic woes for a brief period, the temporary boom is not forecasted to benefit unemployed Nicaraguans as much as HKND and Ortega have promised. Outsourced jobs to Chinese workers will eclipse the political promises made by the Canal’s proponents. Moreover, the economic model of mega-infrastructure projects is such that the local economy is entirely excluded from the long-term benefits of a “private canal enclave”—evidenced by Panama’s Canal Zone—as the Canal will become self-sustaining and thus purely an obstruction of land from the perspective of local landowners, without the benefit of jobs, once built. In its wake, Nicaragua’s localized, tradable activities such as agriculture, cattle raising, and the agro industry will be left uncompetitive within the global market, thus exacerbating the income inequalities between the elites benefiting from a privatized project and the largely indigenous local economies excluded from access to Nicaragua’s wealth. More worrisome, the canal may not even benefit the Nicaraguan government or business elites. The majority of profits could be usurped by Wang Jing and his company, given that, under the parameters of the concession, Nicaragua will receive a miniscule $10 million annually for the first decade without ownership. Following the first decade of operation, Nicaragua will be granted a 10 percent increase in ownership stake every 10 years. Consequently, the Nicaraguan economy and the Nicaraguan canal will be rendered quasi-separate entities, relegated to adversarial spheres of influence, with the latter superseding the former in economic power. 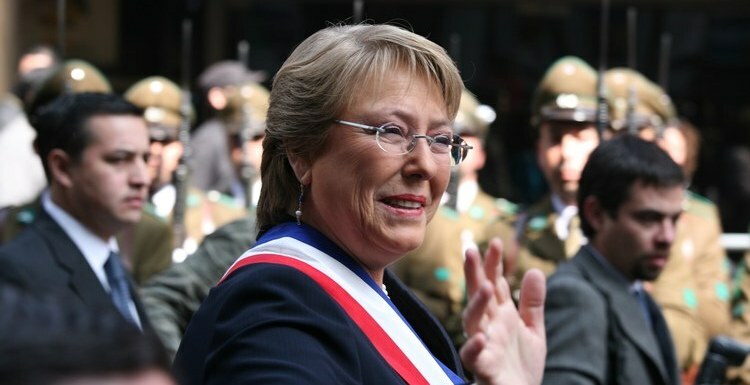 Is Chile Finally Completing Its Transition To Democracy? February 5, 2015 COHA Comments Off on Is Chile Finally Completing Its Transition To Democracy?